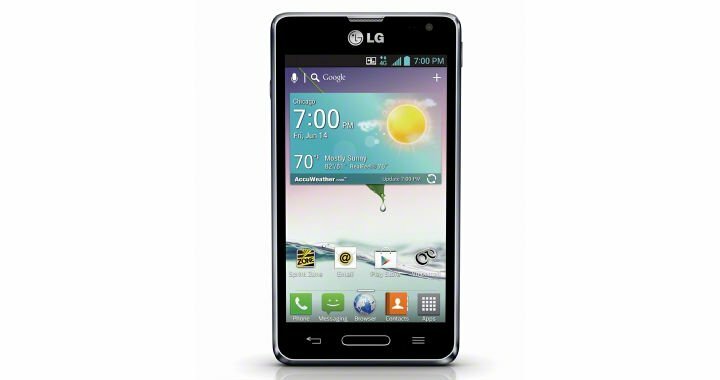 Sprint announced on Thursday that the LG Optimus F3 will be available starting from June 14. Priced at only $29.99 (with a $50 mail-in rebate reward card) with a two-year service agreement, the handset is aimed at those with visual impairments and disabilities. The 4G LTE smartphone is the first to feature Google’s TalkBack; text-to-speech is ready to roll right out of the box. What more, the Optimus F3 comes with the Accessible Education Sprint ID pack aimed at students of all ages with print disabilities. Among other details the Android 4.1.2 Jelly Bean phone comes with a 4-inch IPS display, 5-megapixel rear camera, NFC, and a host of LG software touches. ARLINGTON, Va., – June 6, 2013 – LG Electronics and Sprint today announced the upcoming availability of the LG Optimus F3™ smartphone offering features designed to make the device more accessible for people with vision loss or other disabilities. The LG Optimus F3 offers access to the Sprint 4G LTE1 network, a 1.2GHz dual-core processor, a long-lasting 2,460mAh battery, a vivid IPS display, and premium features that allow customers to connect and share with ease. To learn more about what Sprint is doing to empower customers with disabilities, please visitwww.sprint.com/accessibility. Sprint Nextel offers a comprehensive range of wireless and wireline communications services bringing the freedom of mobility to consumers, businesses and government users. Sprint Nextel served more than 55 million customers at the end of the first quarter of 2013 and is widely recognized for developing, engineering and deploying innovative technologies, including the first wireless 4G service from a national carrier in the United States; offering industry-leading mobile data services, leading prepaid brands including Virgin Mobile USA, Boost Mobile, and Assurance Wireless; instant national and international push-to-talk capabilities; and a global Tier 1 Internet backbone. The American Customer Satisfaction Index rated Sprint most improved, across all 47 industries, during the last five years.Newsweek ranked Sprint No. 3 in both its 2011 and 2012 Green Rankings, listing it as one of the nation’s greenest companies, the highest of any telecommunications company. You can learn more and visit Sprint at www.sprint.com orwww.facebook.com/sprint and www.twitter.com/sprint.